You must know that walking through the Historic Center of the City of Cusco, Means to travel through places that were designed and designed by the Inca civilization. The fusion of the Andean and Spanish cultures amidst beautiful landscapes, make Cusco a place of incomparable beauty that retains many ancestral customs and traditions in one of the most cosmopolitan cities in Peru. A tour through the historic center of Cusco, will give you the opportunity to stroll among colonial buildings built on bases and walls of ancient palaces and temples of the Inca empire; The fusion of these architectural styles makes the imperial city of Cusco (capital of the Inca empire) a unique place in the world, where you can enjoy real architectural jewels, many of which may well be considered works of art. There are several circuits that can be done on foot and are signposted on the main streets. 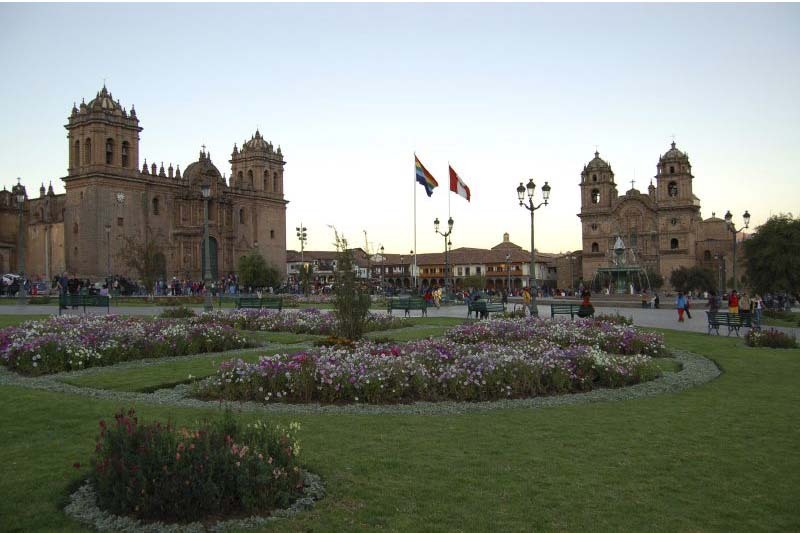 However, in order to enter some places in the historical center, you will need to buy the Cusco Tourist Ticket. At present, the “Archaeological Capital of South America” is the most visited destination in Peru and one of the most important in America and the world. What is the Historic Center of Cusco? Of ancient origin, Cusco was the capital of the Empire of the Incas, one of the most important civilizations of the American continent; Was the main urban center of the Tahuantinsuyo empire. The Historic Center of Cusco is an incredible testimony of the overlapping of Inca and Hispanic architectures; Is a part of the city, continuously inhabited since before 1400. According to a royal cedula of July 1540, it was called “the very famous, very remarkable, loyal and most faithful Cusco City, main city and head of the kingdoms of Peru”. It is known by some chroniclers, and now by satellite images, that the first urban layout of the city, had the form of a puma. The arrival of the Spaniards produced in this environment, not only an artistic, architectural, pictorial, and folkloric mixture, but also human, combining characteristics of each culture. One of the most notorious and amazing characteristics of the fusion of cultures, is the architecture; Since the polished and carved stone lithic material is the main component of ancient colonial mansions, palaces, churches and convents built on ancient Inca walls and constructions. Inside these buildings you can see beautiful sculptures and paintings. The narrow and cobbled streets, churches, old quarters and colonial houses, as well as several archaeological monuments, are examples of a mestizo culture that has survived to time, invasions and natural disasters, and that remains alive despite the passage Of centuries. The Historical Center of Cusco, in spite of many historical events and natural disasters occurred, is in amazing state of conservation; And thanks to him, the City of Cusco was declared Cultural Patrimony of the Nation in 1983; The same year it would be declared Cultural Patrimony of the Humanity by the UNESCO. What to see in the historical center of Cusco? Although we recommend taking some time to walk through each of the streets of the Historic Center, walk through narrow cobbled streets and enjoy great structures made of polished stones embedded in the form of a giant puzle, reflecting the pre-Columbian past of the city. These are the services that can be found in the Historic Center of Cusco: hotels, hostels, hostels, restaurants, bars, cafes, fast food restaurants, nightclubs, pubs, clubs, travel agencies, banks, cash machines, Security (tourism police), hygiene services, parking lots, internet, taxis, photo centers, etc. And do not forget that Cusco has one of the most disturbing and incredible nightlife in South America, enjoy it. Many people travel through the Historic Center of Cusco before their trip to Machu Picchu; However, you should know that you can not wait to get to Cusco to book tickets to Machu Picchu, check vailability.